Orb is familiar to us for its music, video and TV-streaming abilities, it can even turn your Wii into a media center (update: new article Wii media centers), but now the folks at Orb have moved on to the iPhone and iPod touch with a new application called OrbLive. 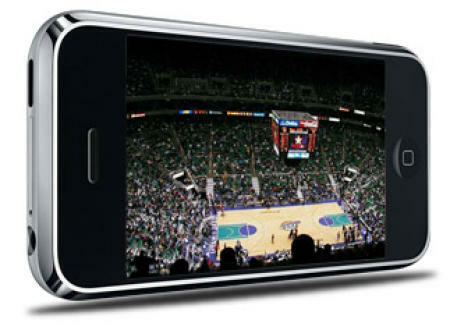 Everything you could do before can now be done on your iPod touch or iPhone, including streaming live television. Orb works by indexing the media on your PC and publishing it to a web site which you can then login to from any device that can access the internet. OrbLive goes one step further, rather than having to go to a web page you actually get access to all the media from an application installed on your iPhone or iPod touch. This means you have a nicer interface to search and view your media on and the whole feel and look fits better with your device. One downside is to install OrbLive you will need a jailbroken iPhone or iPod touch, but if you don’t want to do that you can still use Orb’s original tried and tested method and just go to the website. The sweet point is you can get any media to your device, movie, music, picture or live TV without having to worry about the limited size of you devices hard drive space. Now we have overcome one of the great hurdles with mobile devices, namely hard drive space, we just need to solve battery life, anyone know a web site you can stream power from…?